Afternoon sessions – now including lunch club! Welcome to Whitchurch Pre-School ! 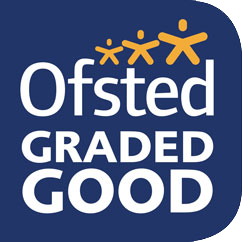 We are GOOD – for our latest Ofsted report following inspection October 2015, please follow the link…. OFSTED INSPECTION REPORT OCTOBER 2015. Whitchurch Pre-School is an OFSTED registered Pre-School, run from the village hall in Whitchurch Canonicorum. Whitchurch Canonicorum is a beautiful West Dorset village, providing a great setting for the children to explore, play and learn in. Whitchurch has a fantastic village park right next to our Pre-School which we visit daily, providing lots of extra fun outside space. We are a charity non-profit making Committee run Pre-School. The Committee are made up of parents and friends of the Pre-School, who kindly volunteer to oversee and manage the Pre-School, alongside the Pre-School Manager. We follow the Early Years Foundation Stage Curriculum (EYFS). Whitchurch Pre-School takes children from the age of 2-5 years old. We accept 2 and 3 year old Early Years funding vouchers.